Call us for auto air conditioning repair! Are you in need of an experienced auto mechanic to assist you with any auto repair service you need? Perhaps you desperately need auto air conditioning repair in this hot heat? Either way, Ralph's Super Service is the mechanic to call! Since 1983 Ralph's Super Service has been the Vero Beach area's premier auto repair company. You can expect prompt & courteous auto repair service for foreign & domestic automobiles. When it comes to oil changes, computer diagnostics, , auto air conditioning repair, brake service and more, choose Ralph's Super Service! Every auto mechanic at Ralph's Super Service offers personal service & quality work. Each auto mechanic is qualified to work on a variety of vehicles including late model computerized cars & major repairs. Our staff is able to handle a wide variety of services from auto air conditioning problems to transmission. If you are looking for expert auto repair from an auto mechanic you can trust, stop in today. We are a complete auto repair center! Find us on the web at www.ralphssuperservice.com. Call our auto mechanic today for all of your auto repair needs! Ralph's Super Service specializes in all kinds of auto repair work. They can take a look at most transmissions and brake systems, as well as electrical auto repairs. Don't forget about your A/C! We all know that Vero Beach can get hot! You need properly working air conditioning at all times. That is why we perform quick and affordable auto air conditioning repair. Don't be without A/C during the scorching summer months. 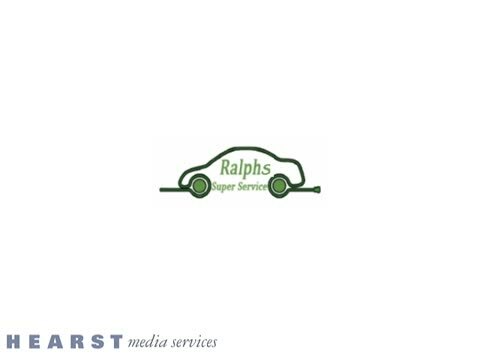 Bring your vehicle to Ralph's Super Service for auto air conditioning repair! Suspecting problems with your car's transmission system? Are the brakes not functioning smoothly? Whether the problems are minor or more complex, we at Ralph's Super Service have got you covered. You can rely on our experienced mechanics to handle all your auto repair needs. We are here to assist clients in Vero Beach and the surrounding areas with quality auto services. If you have more questions about our auto repair service, get in touch with us today. An expert auto mechanic at Ralph's can replace shocks and struts and repair steering and suspension systems. A full suspension system evaluation can be done on your vehicle to know which repairs need to be made. Worn suspension components can threaten the livelihood and drivability of a vehicle, so let the technicians at Ralph's Super Service perform an overview of the whole system. For all your auto repair needs in Vero Beach, there is only one auto mechanic to trust. Ralph's Super Service provides all services needed to keep your vehicle in tip top shape. From major repairs to auto air conditioning repair, we can do it all! Stop in today for all your auto repair needs! Ralph's Super Service is located at 1330 Old Dixie Highway SW in Vero Beach, FL. Give them a call at (772) 569-3602. Carburetors, Air conditioning, A/C, Brakes, Transmission, Electrical Work, Late Model Computerized Cars, Major Repairs, Regular Maintenance of your car is like health insurance for your transportation. Your vehicles need regular maintenance to retain their safety, Dependability, Performance, Fuel Economy, And emission control capabilities.